If your game goes viral overnight, can your servers scale to accommodate millions of concurrent players? It's a good problem to have, but it's still a problem. Server crashes, high latency, long wait times — these can kill even the best game for players. But with AWS Game Server Hosting solutions, you can give players a seamless experience from game lobby to the top of the leaderboard. Build your own custom solution or hit the ground running with managed game services. Dramatically reduce operating costs compared to on-premise solutions and remain flexible for fluctuating player traffic. With AWS, ensure nothing gets in the way of your players' fun. Choose the game server infrastructure that's best for your players — no matter the size or scale of your game. Whether you want to build your own in the cloud or accelerate development with a managed game service, AWS provides scalable, reliable, and cost-effective solutions. Create a customized server infrastructure in the cloud while maintaining control over your environment. Then make decisions based on in-depth server telemetry metrics. Ship your game faster and quickly bring players the gaming experience they expect. Maintain servers with less operational resources and provide updates, patches, and new content with ease. AWS global infrastructure ensures a seamless, low latency gaming experience — server capacity and data centers available for players to connect to your game, from anywhere in the world. 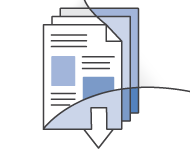 By pairing Amazon EC2 Auto Scaling with Amazon Elastic Compute Cloud, maintain high availability and dynamically scale your server capacity up or down with changing player demand. Securely and efficiently authenticate client requests to your server. Identify player requests to join games without long wait times, and connect multiple gaming device directory requests to your server with ease. Run your build without thinking about servers for games that don't require lightning fast latency. AWS Lambda takes care of everything required to run and scale your game with high availability. Quickly get dedicated game servers up and running for your online multiplayer game with Amazon GameLift. Session-based multiplayer game server hosting with Amazon GameLift reduces global latency, compute costs, and time to implementation. With just a single input using Amazon GameLift, automatically scale game server capacity with player traffic around the world. Easily create competitive and fun games for your players with Amazon GameLift. Manage your servers and create custom matchmaking rules with just a few lines of JSON. Use custom mechanisms to fine-tune Matchmaking. You can match players strictly or loosely with the required degree of precision to ensure players are evenly matched.